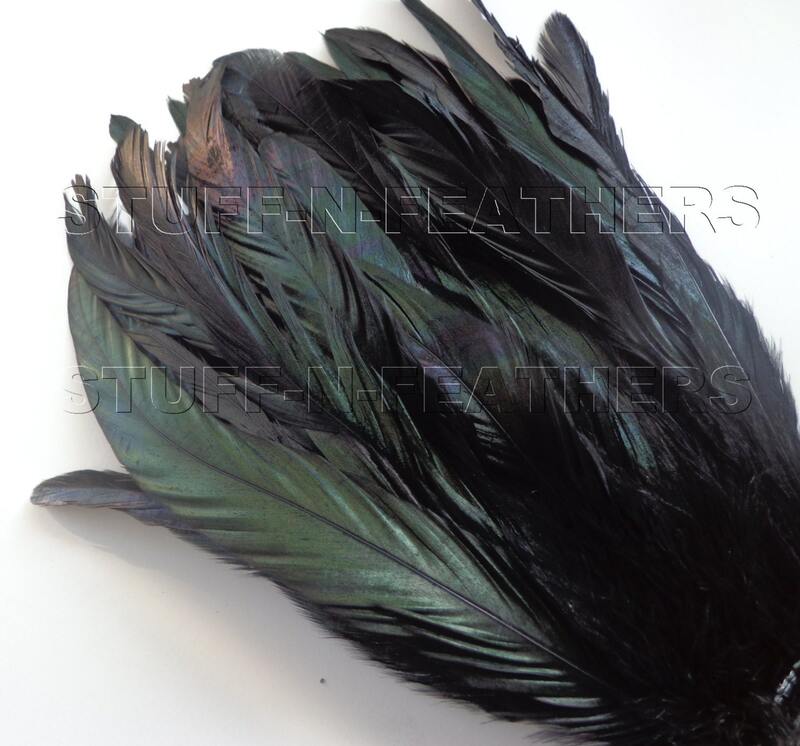 This is a listing for 2” (5 cm) strip of strung premium iridescent black rooster coque feathers. There are approximately 20-25 feathers in each bundle. This style is dyed over a half bronze feather, which gives an iridescent green to black shine. 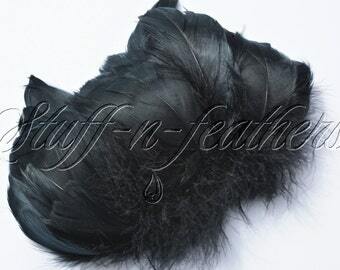 LOVELY feathers, fast shipping! They even sent me a little something for free...will definitely shop here again. Thx! Always beautiful quality - never a question! Item as described, shipped quickly. Thanks!